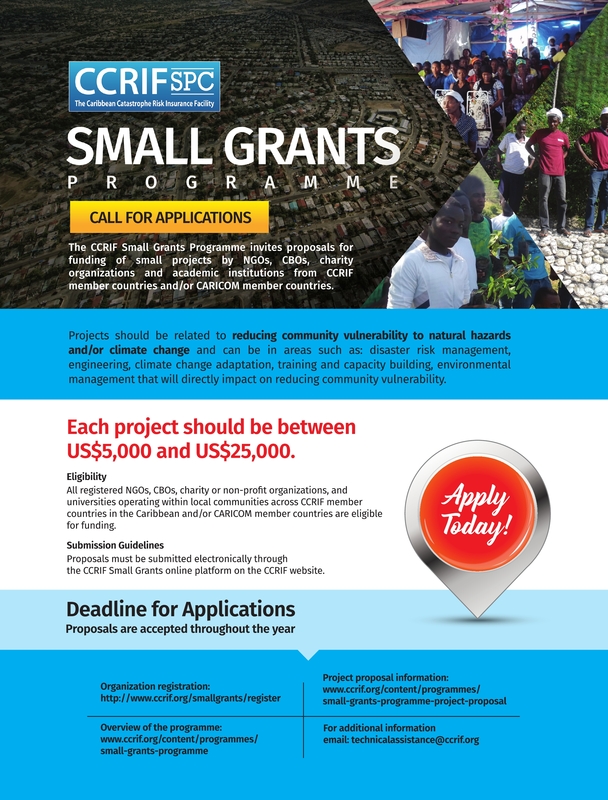 Under the Small Grants Programme, CCRIF will finance small projects conceptualised and managed by non-governmental organisations (NGOs), community-based organisations (CBOs), charity organisations and/or mandated by National Disaster Coordinators in local communities across CCRIF member countries and/or CARICOM member countries. Each project should fall within the range of US$5,000 to US$25,000. 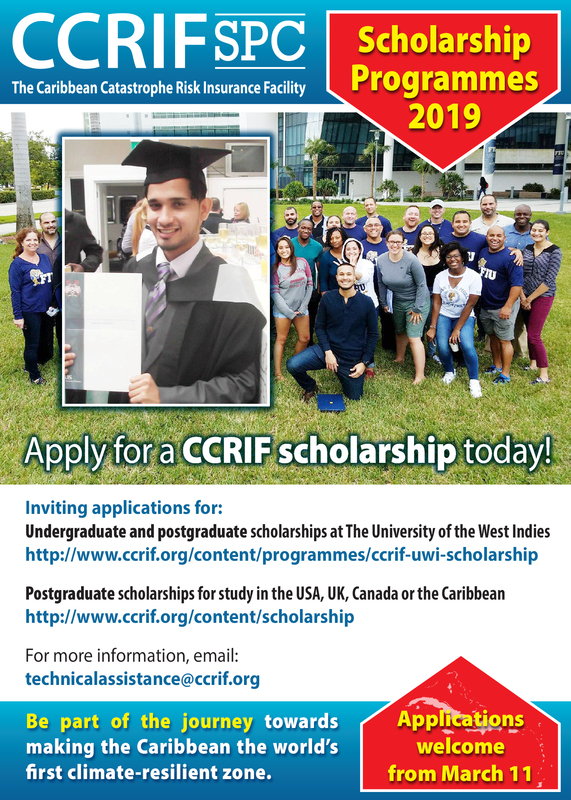 All registered NGOs, CBOs, charity or non-profit organisations, national disaster coordinating bodies and universities operating within local communities across CCRIF member countries in the Caribbean and/or CARICOM member countries are eligible for funding. Organisations directly funded from state budgets such as departments or agencies within government ministries are not eligible for funding. Proposals must be submitted electronically using the CCRIF website and specifically through the CCRIF Small Grants online platform located at here. Step 1 - Registration: Create an account (username and password) for your organisation (Organisations will only be required to register once) by clicking here. Step 2 - Organisation Profile: All the required information has to be completed, before the account can be created. 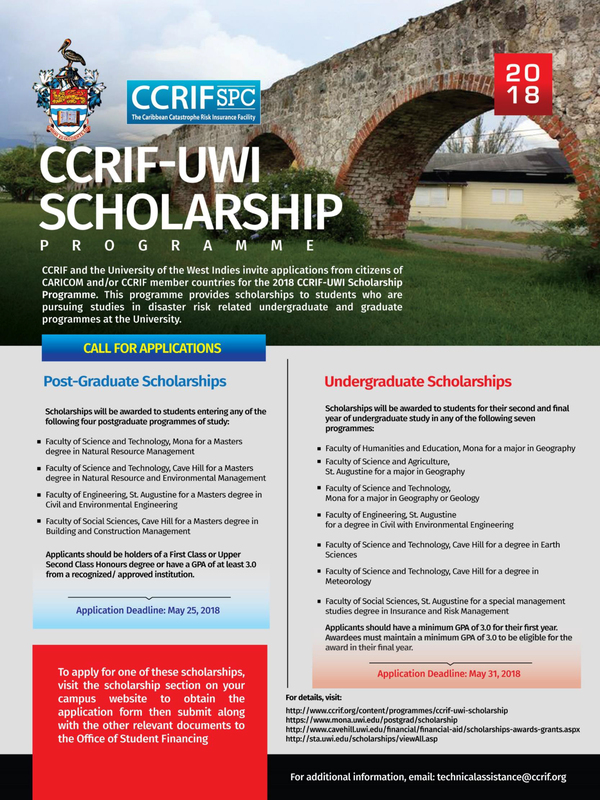 Proposals for small grants may be submitted for consideration at any time during the CCRIF policy year which runs from June 1 to May 31. As such, CCRIF will not have a specific call for small grant proposals. Additionally, as of June 1 (i.e. the start of the policy year) each year, applicants can access the online small grants platform to note any changes that may be relevant for an upcoming policy year. English is the offi­cial lan­guage of CCRIF and therefore project proposals and all offi­cial cor­re­spon­dence with the facility must be submitted in English. Expected information to be included in the project proposal, details about the project selection criteria, announcements of results, contractual terms, and project implementation - can be found here.